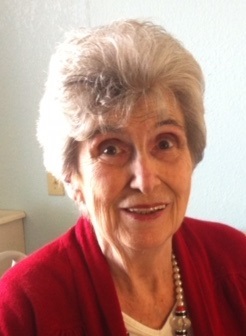 Bonnie I. Meserve, 82, passed away March 22, 2019 at Heartland Villa in Lewisport, Kentucky. She was born in Hawesville, Kentucky, October 19, 1936 daughter of the late Joe Matt and Betty Dorcas (Hendricks) White. Also preceding her in death were her siblings, Henson White, Betty Jo Alsop, Rebekah Stangle, Rachel Ayers and Tommy White. Bonnie had worked at Tell City Chair and SIRS Preschool. She was a member of Relevant Faith Church in Owensboro, Kentucky and charter member of Central Baptist Church in Hancock County, Kentucky. She spent countless hours watching her children and grandchildren play sports and had played softball alongside her daughters for many years. She enjoyed helping others, attending family get-togethers and was active in her church. Bonnie always had a pleasant, generous personality and never met a stranger. She is survived by her children; Monya Crowe, Owensboro, Betsy Riley, Cannelton, Mitchell Meserve, Owensboro, Tommy Joe Meserve, Lewisport, Angie Wettstain (James), Owensboro and Shellie Morris (Van), Tell City; brother, Joe Matt "Jody" White, Jr., Hawesville, Kentucky; thirteen grandchildren and fifteen great grandchildren. Funeral services will be at 2:30 PM CDT Sunday, March 24, 2019 at Huber Funeral Home, Cannelton Chapel with burial in Lewisport Cemetery. Rev. Oda Shouse, Jr. will officiate. Visitation will be from 11:00 AM until 2:30 PM on Sunday. Memorial contributions may be made to Relevant Faith Church.